Interview ＆ Story Branding - I utilize my 10-year experience of interviewing and writing both in English and Japanese. I interview people and edit stories behind them, their activities, products and services. 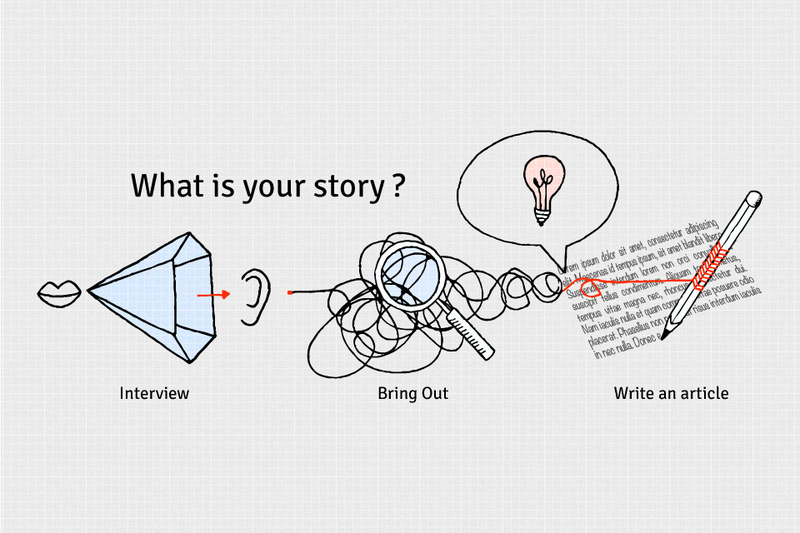 Deriving your story by conducting an interview and visualizing it by writing it up will enable you or your product/service to be one with great appeal and eternal value - that's "Branding". Facilitation of English morning meeting at your office.